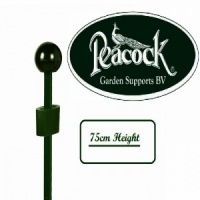 Peacock® Standard 9mm Couplers Multi Pack of 4 manufactured in Holland, from the high quality Pinnups Plant Support range exclusive to Peacock Garden Supports BV. Professional gardeners throughout the horticultural community trust the reliability and manufacturing quality of the Peacock® Plant Support system, providing an unparalleled service life to those who trust quality over price. Peacock Couplers are designed to slide onto 9mm Peacock Plant Support Stakes (any length), allowing support rings to be connected between two stakes. 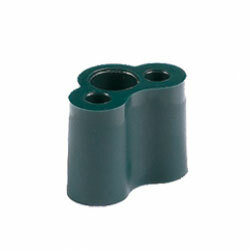 Couplers bring connectivity of any array of support options providing a slide-able support frame, where the couplers can easily be adjusted to slide upwards to raise the support framework as the plant grows.